Sanity in a number of sectors in Uganda's economy may only return when God helps the country to be liberated from the current leadership. Short of that, it is sad. There is no such a thing among many in leadership circles of NRM as love for the country. The love is for own accumulation and the fruits are clear for all to see. Hopeless service delivery. Inequalities. Despite the shared opportunity of free primary education, rural schools, teachers and pupils suffer a lot more challenges ranging from poor attitudes, lack of motivation and lacking materials. It is about 8am in Ibanda District and a 15-year-old boy, who is supposed to be at school, is busy grazing cattle. With him are two other boys, six and eight years of age, all holding sticks which they use to drive their cattle out of the road as cars pass by. Away in Ntoroko District around the same time, a 10-year-old boy is seated by the lakeside, waiting to draw out fishnets from the lake while others wash the nets after the night’s catch. The story is not different in Kyegegwa, where a young girl is seen either carrying a hoe on her way to the garden or another is strolling her way down to the market with a basket of tomatoes. 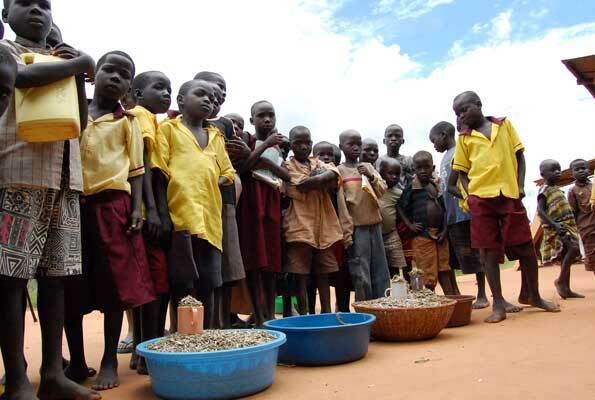 All of these children are enrolled in various primary schools around the districts. However, on these particular days, these youngsters had absconded from studies because, according to them, they have “to help at home”. This means that they will miss whatever will be taught that day. Even when they copy notes, they will miss out on the explanation, failing to fully understand what they have copied. And for their age-mates who have chosen to attend lessons, 9am-time when classes begin, finds them trekking to school. Meaning, their starting time for classes will be stretched to about 10am.